Normally, I write pieces urging others to seek recovery. 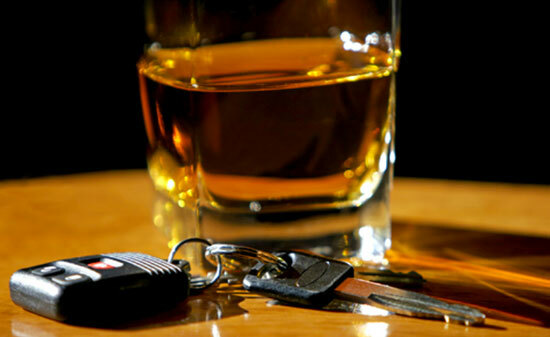 Drinking and driving, and the powerful implications of the practice. If you feel passionately about drunk drivers, too, feel free to share the link. She is the same age as my oldest daughter. Exactly. She didn’t mean to do it, I’m certain. It was a horrible, horrible choice. Still, I can’t stop thinking about her, my heart breaking for her and for those whose lives were snuffed out when she decided she was okay to drive, only a few days ago. Oh how I wish she could go back and reconsider! After it happened, the accident was all over the news. The accused looked very familiar to me. We have mutual Facebook friends, it turns out. She probably wasn’t going far. Everything in this town is 15 minutes to everything else in this town. It was the middle of the night (to my middle-aged mind) but likely she was just getting started at 1 a.m. At 22, you are just getting started at that hour. Her mugshot is pitiful. She is dazed – a stunned countenance of shock and inebriation. She is wearing too much eyeliner like girls here age do, and she is looking to the side, away from the camera. She is having a nightmare that she will never wake up from. And there are others who will never wake up from the nightmare she originated. Her hair is perfect in the picture – perfect! – as if she just stepped out of a salon instead of a 2,000-pound vehicle crushed like a soda can… instead of stepping away from a wreck that rendered the other vehicle unrecognizable as transportation. She looks so normal. She had the plans of a vibrant young woman, and now she will go to prison. She will have her whole life to consider what she chose in a split second. Yesterday, my husband and I saw the orange markings still on the road – left from those whose job it is to document such losses, the paint marking the vast debris field. It was unbelievable. One split-second decision to drive ended in wreckage so devastating, it is a miracle that even one person walked away. Nobody ever thinks it will happen to them. But it happens every single day. I’m an alcoholic. I have made this horrible, horrible choice many years ago before I got sober. It is by sheer miracle that the same thing did not happen ‘to’ me. It makes me so ashamed. This young lady’s fait accompli could have been me. It could have been almost anyone who has been young and feeling invincible. Anyone addicted. I don’t know if the driver who caused it had a problem with alcohol. Addiction to alcohol starts as a dirty little secret, not a tweet or snarky Facebook status. I’m not diagnosing her. Most 22-year olds drink to blow off steam and that’s all that comes of it. Except for this time, it wasn’t all that came of it. I’m praying hard for the surviving victim, who lost her husband right before her very eyes in what – judging from the carnage of the photos in the news – must have been gruesome and traumatic. She will never, ever be the same. The man who lost his life will never get to grow old with his wife, fulfill his plans. I cannot imagine his wife’s pain and suffering. It’s so easy to hate someone who has chosen to drink and drive. Her actions make me very angry, but her normalcy makes me profoundly sad. Nobody ever thinks it can happen to them. So, I pray for the drunk driver, too. And she didn’t mean to do it, I’m certain. But her one choice imploded the lives of three people and will permanently alter the lives of the families, friends, and communities of those who loved them. I’ll just be extra careful. One split-second decision can change everything tragically. And you can’t go back in time. No matter where you are going, it is too far to drive if you’ve been drinking. Just please, please don’t ever do it. Ask a friend to be designated driver. There are so many, less-deadly options. It is such a cliché of society these days that we almost forget why it became so pertinent. For practical tips about how to help prevent someone from driving drunk, visit MADD tips here. To read an article about the stigma of addiction, click here.